From 2 to 8 week Intensive Tennis Training in a Summer Camp (July and August) for boys and girsl: Instructional and development Tennis Camp for youth from 14 to 17 years old. 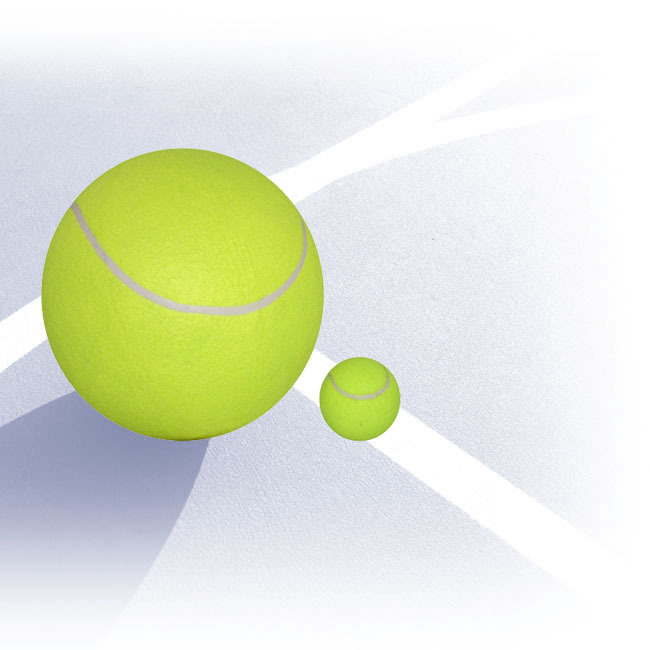 Personalized, individualized Tennis instruction, for players of intermediate and advanced tennis level, for teenagers and juniors playing tennis in a Tennis Club or in Tennis School. 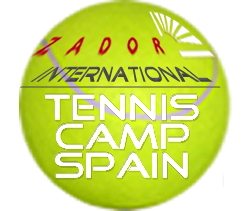 ZadorSpain, a Language Services Company with more than 22 years of experience, organizes and promotes Spanish & Tennis Summer Camp in Spain for youth. ZadorSpain, operating in Vitoria since 1990 and in Alicante since 2004, organizes study abroad programs for foreigners looking for learning and improving their Spanish language skills and having a rewarding language immersion program in Spain. Spanish language & Junior Tennis Camp is the result of a partnership between ZadorSpain and a Tennis School and Sport Foundation in Alicante. Sport Club in Alicante has a long history: It was founded in 1937 with the aim of promoting sports above all for children and juniors throughout different sports schools, being Tennis School one of the most import schools in Spain in the last years. 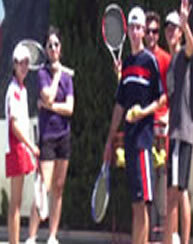 Tennis and Sport Club is located near the Albufereta Beach (5 minutes walking), in the surrounding area of Alicante. In this luxury complex of 60,000 m2, sports facilities occupy 40,000 m2, the majority of them with Tennis Courts. 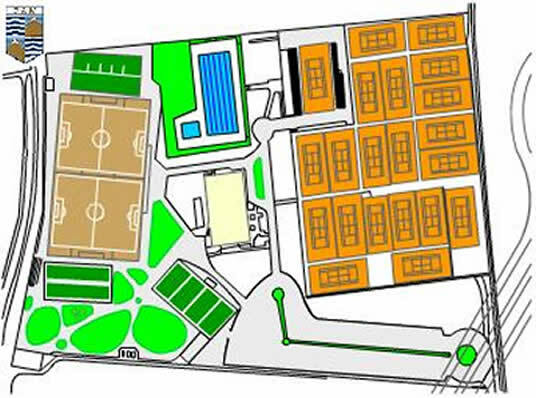 2 football pitches, swimming pool, children area are other outdoor facilities. Club offices and reception area, TV room, fitness area, restaurants, and cafés, dressing rooms, bathrooms, common rooms, game area, Macht 1 Shop are in the main building. More information about the Tennis School facilities. Boys and girls who are already play tennis and want to have intensive tennis training for 2 to 8 weeks in July and August. To participate in the Tennis Camp the trainees must have an acceptable tennis level to compete, must be people usually playing tennis tournaments or registered in a Tennis club. If you are a tennis player and you want to take part in the Tennis Camp the main requirement is motivation: players have to be highly motivated to improve their Tennis skills and to play intense tennis training sessions every day from 10:00 to 13:30. You can consult how to book and register online or by email or fax. If you have any question or you want to receive a quotation without any obligation, do not hesitate in contact us. 23 experienced, qualified and professional tennis coaches with long experience in instructional tennis camps for youngsters. Coaches that know tennis and have the ability to teach to push young players’ current skills to the next level of competition. Thanks to the reduce ratio of tennis players per coach it is possible to offer a high quality tennis lessons. The “Tennis Camp” is the perfect finishing for the annual programming of training for an advanced level player because, for 2, 4, 6 or 8 weeks, students can develop the technical and tactical skills they have acquired during the year in real competition situations. The central point of the programming of the “Tournament Tennis Camp“ will be the combination of training sessions, specially aimed at competition situations, with training support in national tournaments of all categories. In this sense, the great variety of competitions in the summer calendar of the Alicante Province offers the participant students the possibility to play an official tournament every week of the tennis camp. Finally, the aforementioned central point completes with a series of tennis theory lessons, alternative sports, and parallel activities integrating and perfecting the tennis camp main objectives. Tennis camp focused on a high frequency of training sessions -5 days per week, 3 hours 30 minutes per day-, with the main goal of establishing the acquired technical skills and of developing new ones. All this is carried out by means of a methodology that has been awarded the prize for ‘the best tennis school in Spain’ twice by the Registro Profesional de Tenis. If the students want to, they can take part in tournaments organised by some clubs of the province (Elche, Villajoyosa…) and/or they can also do it in the club itself that may organise 2 or 3 tournaments per month. The trainer accompanies the students, and the trip is included. The registration in the tournament is not included: approx. € 25-30 per tournament. Daily physical preparation sessions with the aim of keeping the tennis players’ physical conditions, as well as preventing injuries and preparing competitions and tournaments with summer climatic conditions. — Golf: visit to the “Alicante Golf” course. Practical lessons taught by the Golf Mater, Antonio Cortés. — “Beach Volley”: familiarisation day directed by the technical coach of the Alicante Beach Volley Club, Ángel Luengo. — Horse Riding: introduction to horse riding taught by Andrés Kadri, sports director of the Alicante Riding Club. — Plan ahead for the summer and register at the Kids Tennis Camp in time, do not wait until the last minute. — Consult us any doubt you may have. — If you do not speak Spanish at all, it could be a good idea to study a little bit; you will feel more comfortable and you will take the maximum advantage of the Kids Tennis Summer Camp. Some tennis coaches speak English, but it is a Tennis Camp in Spanish language and you will have a total summer Spanish immersion program. — Once you are registered and before preparing your trip, check the items to bring to the Spanish + Tennis Camp.